Should you use neem soap for acne? Does it really help? The answer is, as so often: it depends. It depends on your skin type and on the soap. Skin care is very important for acne, and the wrong skin care products can wreak havoc. So let's look a bit closer at acne skin care, and where and how neem soap or other neem products do fit in. Acne is not an incurable skin disorder that you just have to live with until you grow out of it. Acne is a medical condition, and it can be treated. With the right treatment you can clear up a mild case of acne within weeks. Severe cases may take several months to fully heal. But every case of acne can be successfully treated! Mild cases you can treat yourself with over the counter products or neem acne home remedies. If you suffer from more serious acne you should see a doctor, and the most severe cases require the help of a dermatologist (a skin specialist). If your acne is serious don't hesitate to get medical help. It's the smartest thing you can do. Skin care is very important for acne! Because the wrong skin care products do more harm than good it's best to ask a specialist which kind of skin care products are best suited for your skin type. That's where you start. Cleansing is an often overlooked crucial step. Skin care products that are recommended for acne, even medical acne treatment products or neem products, can make acne worse if left on the skin! An ideal cleanser would be mild and soap-free. Definitely it should not contain any abrasive ingredients or alcohol. Any scrubbing or harsh ingredients will only irritate the skin further. Soaps can strip the skin of natural oils. Initially that can improve acne. However, the skin will react with increased oil production, so within a few weeks acne will return and be worse than before. If you want to use neem soap don't just grab any neem soap bar. Make sure it is a very mild soap. Look for something that is moisturizing as well as cleansing. Neem soap can be made with many different ingredients, it can use neem oil as the soap base, or it may contain neem leaf powder or neem leaf extract as an additive. What you want is a neem soap that uses neem oil as the base. If it contains neem leaf as well, all the better. Also good are soaps that contain additional moisturizing ingredients, formulated specifically for sensitive skin. What you don't want is some harsh, cheap soap that has a bit of token neem oil or neem extract added to it. Crucial is not so much the type of neem in the soap or how much. What matters is what else is in that soap, and how much! You need to match the soap to the specific needs of your skin. I can't go into the details of neem soap making here, so I can only stress again that you need to find a mild soap, ideally one that is also moisturizing. Treating means to apply whatever specific over the counter or prescribed treatment you are using. This may be a cream or lotion, and if it's prescription medication it probably contains antibiotics, benzoyl peroxide, or retinoids. If you are already using such medication, stick with it for the prescribed period before you try something else. Switching to a neem product just because you don't see immediate benefit can make things worse. Having said that, if you find that antibiotics did not work after six to eight weeks you may be dealing with resistant strains of bacteria. Trying a different antibiotic is one possible course of action. Trying neem is another. So far no bacteria have developed a resistance to neem, and scientists don't expect that to happen. If you haven't started any other treatment and are reluctant to use antibiotics or harsh chemicals like benzoyl peroxide or retinoids, try neem. You may find that a cleanser or neem soap with a high neem content does the job and you don't need additional treatment. 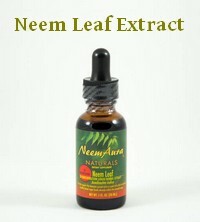 Another possible acne treatment is to apply a neem leaf paste. Neem paste for acne can be made from fresh or dried neem leaves or neem powder. Just make sure you don't leave it on too long. If it starts drying it may irritate your skin, and with acne you need to avoid irritation above anything. Another option that combines treatment and protection is a neem based moisturizer. As with antibiotics treatment, if you do not see improvement within six weeks, do consult a doctor for help. Protection refers to make up, moisturizers or sunscreen. All of those are likely to worsen existing acne. Avoid them if you can. If you have to use any of the above, use oil-free products and apply them after and on top of your acne treatment. Ideally find products that have been tested and recommended for acne. You can and should avoid make up altogether. Moisturizers are also often unnecessary, acne skin tends do be oily anyway. A moisturizing cleanser may be all you need. There are light neem lotions available if your skin does need extra moisturizing. The biggest problem with neem soap and acne is that there is no scientific evidence proving the effectiveness of neem soap for acne. 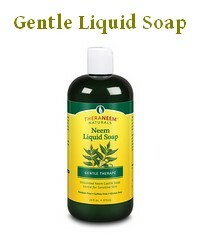 No study has ever tested the effect of a gentle cleansing regime with neem soap. Maybe if such a study was done it would be wildly successful. Who knows? 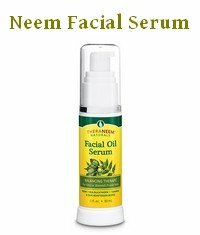 There are lots of testimonials from former acne sufferers, lots of people who swear by neem, lots of raving fans. But until someone does some clinical trial that proves that neem soap works, and until some guidelines for concentrations are established, and until someone can make products with precise concentrations (difficult when using natural ingredients), until then you are unlikely to find a doctor recommending neem soap for acne. 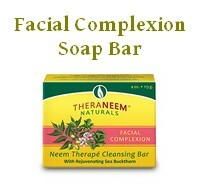 Many herbalists, however, do recommend neem soap as a simple and effective way to clean up acne. They say they don't need any clinical studies, they can see it works and that's all that matters. The same is true in Ayurvedic medicine. Neem has been used for skin care for several thousand years in India. Do you think that would be the case if the effectiveness of neem soap for acne was a myth? 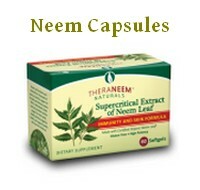 Next page: Neem Capsules - internal neem acne treatment. 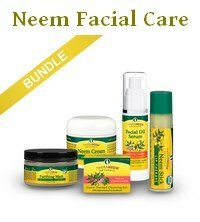 Neem and Acne: overview and introduction. Neem Capsules and Acne: neem capsules are the most frequently recommended neem acne cure. Why?